Masha Lavrova (19) lives in a small town in Ramensk with her mother Anna (50), her elder sister Nadezhda (30), her husband Sergei (30) and their daughter Sonia (9). Masha is an aspiring pianist, and Sergei and Nadia are young scientists who have long been invited to work in the capital. However, all of a sudden, misfortune strikes their family: Masha and Nadia’s mother dies in a car accident, and Masha gets an injury that shatters her dream of becoming a pianist. What’s more, her beloved boyfriend cheats on her with another girl. In despair, Masha is ready to leave everything and go to the capital with Sergei and Nadia, but life opens up new doors of opportunity for her, as Masha starts teaching music to talented children. 12 years pass. Masha (31), now a successful teacher in her native music school, is planning to marry her beloved man - television presenter Andrei Nazarenko. 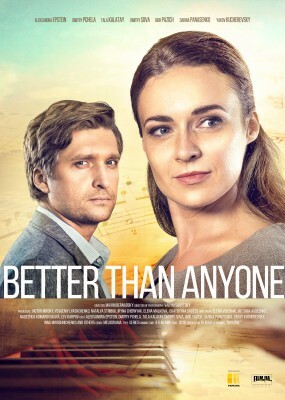 But Masha's life collapses yet again: unexpectedly, the Andrei's prodigal wife returns from abroad, and if that wasn’t enough, the office politics of her envious colleagues forces her out of the music school. Aleksandra Epstein, Dmitry Pchela, Tala Kalatay, Dmitry Sova, Igor Pazich, Darina Panasenko, Yakov Kucherevsky, Inna Miroshnichenko and others.